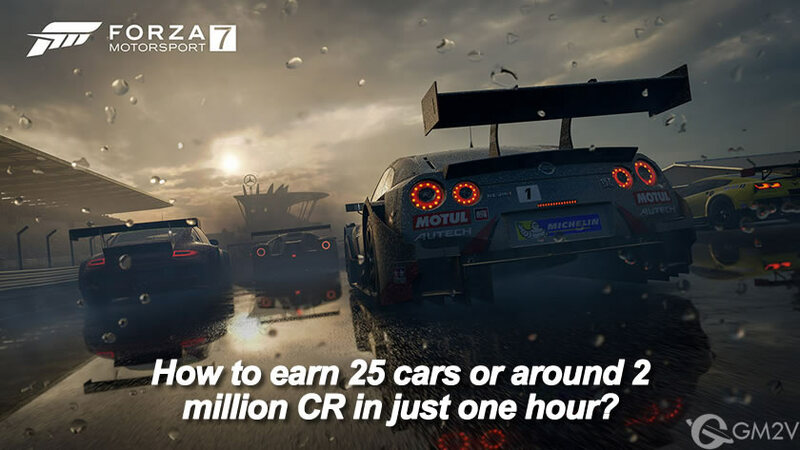 With the help of this tips, you can easily earn 25 cars or around 2 million CR(credits) in just one hour. For this method, you will require the 2013 Ram Runner Forza Edition. VIP players will get it free while other players will be required to keep collecting cars until they unlock the Tier in which the car is present. You can also buy it from the auction house. The main reason for using this vehicle is that it gives 7,500 XP for racing at the Test Track airfield. To start the process, go to Free Play, choose Ram Runner and Test Track Airfield track. Set the opponents to zero and set a time limit of 30 seconds. Skip equipping mods and start the race. Once the race begins, complete it and select restart event. Driving during these 30 seconds will result in more CR so make sure that you are not sitting idle during this time. The basic purpose here is leveling up so you should care about this small outcome reward. When you level up, you get 20,000 CR and three choices among CR, car discount or driver gear. It is up to you what you want to choose here. Since this is a money farming guide, we recommend you get either the money or car. By using this method, you can easily collect cars and money. If you wish to buy the most expensive cars in Forza Motorsport 7, you will need a lot of CR, you can choose us. We provides cheap Forza Motorsport 7 CR for PC/Xbox One, full stock & safe & instant delivery & 24x7 customer support. The best place to buy Forza Motorsport 7 CR.